I would appreciate anonymity on this... because OMG it's a can of worms, but I think people need to think. Although I agree in theory what the people of Belize did on Saturday May 16, 2015 to show support for the "No Offshore Drilling" campaign, the photos I've seen of some of the folks that were there leave me a bit perplexed. I do consider myself somewhat of an environmentalist and think it's very important to keep the reef and the waters the pristine way they are. To make it clear, I am "pro" No Belize Offshore Drilling, however, I wonder how many people burn oil or use things that are made from oil (and may not even realize it) in their everyday lives. I only write this because I believe it is necessary to not only have knowledge of a certain subject or cause, but to use that knowledge wisely when making a public declaration of something...which is the only reason why I didn't go (because I'm not even close to being truly green... yet). No, I don't want the drilling to happen in my own "back yard" but I cannot in good conscience protest something that I believe is wrong for the entire world only because it happens to be so close to home. I believe in finding solutions to problems, not (only) supporting a cause for one day. Just so you are aware, below is an extensive list of things that many of us use that are made with oil. If we are going to make a difference everyone must find alternatives to using these items. It's a huge undertaking.... are we prepared to do it? Agriculture: plastic ties, row covers, irrigation piping, polyethylene, polypropylene, bags and packaging, pesticides and herbicides, food preservatives, fertilizers. Miscellaneous: ash trays, dog food dishes, toolboxes, CDs and DVDs, balloons, dog leashes, tape, recorders, synthetic rubber, bubble gum, dog toys, flashlights, nylon ropes, bungee straps, flight bags, disposable lighters, flea collars, flutes, lighter fluid, cigarette cases, electric blankets, tool racks, name tags, cigarette filters, ammonia, newspaper tubes, calibrated containers, insect repellent, crayons, ice buckets, dyes, pillows, credit cards, flashlights, fly swatters, plastic cup holders, dice, movie and camera film, k-resin, rain bonnets, luggage, video cassettes, charcoal lighter, rayon, safety glasses, gloves, hats, shoe polish, signs, toys, watch bands, waterproof boots, shopping bags, bedspreads, checkbooks, clothes hangers, flea collars, masking tape, safety flares, flags, butane. So the “Anonymous” representative of the oil companies is still at it? 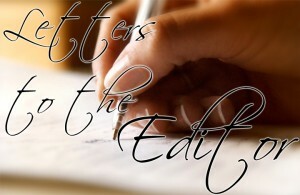 Changing the format of your letter does not make any difference, Anonymous – it is a poor mentality. When you repeat the same thing many times, you are able to stretch your list as long as you want, but it is all about the same thing. Presenting your list in different ways is not going to convince me that you need to drill for more oil. There is already too much oil in storage for your personal financial gains. The people of the world are not benefiting from that excess. The supply of fuel to the people is being limited by the oil companies to keep the outlet price high. The USA-controlled oil companies don’t believe in letting the people benefit from oil excess. The Petrocaribe program is a completely separate thing from Venezuela. They were able to do that because they are not under USA control so you cannot claim any credit for that. With these facts in mind, why do you think you should drill for more oil and cause more unnecessary damages? Plastics are not necessities...they are conveniences for the most part. We got along pretty well before they invaded our lives and frankly I wish many of them would leave. Plastic bottles, bags and containers would be a great start! The point the author makes is not lost but the solution must be practical and include recycling of plastics, use of non-plastic bags and reduction in the use of fuel where possible such as riding bike for shorter trips where cars or carts are not needed. Since it is not realistic to give up plastics, the reduction in use, such as reusable cloth grocery bags and recycling of plastics, are good first steps and will result in a reduction in the use of plastics and ultimately less oil demand. The greatest benefit however will be to keep plastic water bottles and bags from littering our island and getting into the water. drill for oil in texas or arabian desert not in the ocean. use your (our) heads.